Welsh Corgi Pembroke performs the "Give Five" command. A dog on a walk with his hostess in a wonderful autumn forest. hd00:06Welsh Corgi Pembroke performs the "Give Five" command. A dog on a walk with his hostess in a wonderful autumn forest. hd00:25Welsh Corgi Pembroke performs the "Give Five" command. A dog on a walk with his owner in a wonderful autumn forest. 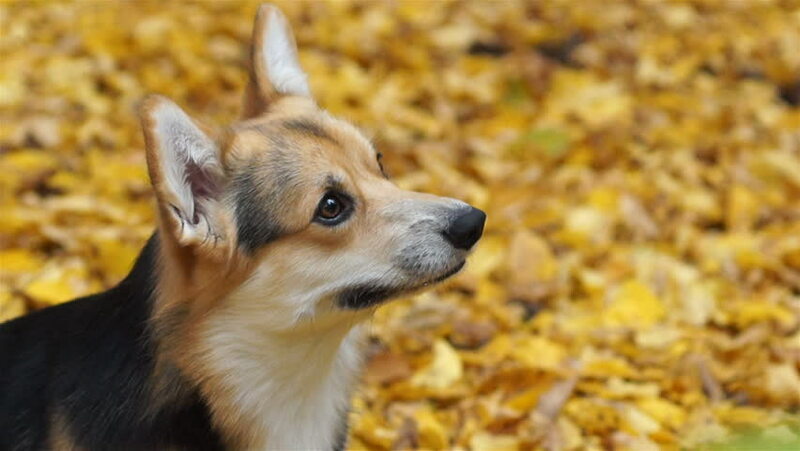 hd00:22Dog breed Welsh Corgi Pembroke on a walk in a beautiful autumn forest. hd00:39Wild Red Fox (Vulpes vulpes) feeding in a field at the edge of a wood. hd00:24The head of an Asiatic young lioness, lying on the autumn background. The most beautiful animal of the world and very dangerous beast. Excellent big cat in the amazing HD footage. hd00:13Happy and active purebred Welsh Corgi dog outdoors in the flowers on a sunny summer day.